Dongguan Zhimi Housewares Product Co., Ltd.
Huizhou Hui Shenghuo Houseware Co., Ltd.
90100300 20 600 D280*W565*H65 11 2/87&rdquo; *22 1/4&rdquo; *2 5/9&rdquo; Stainless Steel 201 Polishing 22.22. 90100400 24 700 D280*W665*H65 11 2/87&rdquo; *26 1/6&rdquo; *2 5/9&rdquo; Stainless Steel 201 Polishing 22.22. 90100500 28 800 D280*W765*H65 11 2/87&rdquo; *30 1/8&rdquo; *2 5/9&rdquo; Stainless Steel 201 Polishing 22.22. Guangdong Shunde Newyuesun Metal Products Co., Ltd.
DIY stainless steel telescopic kitchen storage holder shelf stand microwave oven rack JYC - 021 Product Name DIY stainless steel telescopic kitchen storage holder shelf stand microwave oven rack Material Stainless & PP&ABS Colour By Pantorn Colour Card Specification (50-78)*30*40cm Inner Packing Size 510*340*45mm Carton 530*250*700mm Payments T/T or L/C Shanghai Zhituo Industry Co. , Ltd Founded in 2012, who is one professional supplier of household products,such as storage rack holder, laundry racks, drying racks,plastic cups,bowls,etc our factory owns injection machines, from design creativity, mould developing, test sample, mass production,all processes are under control. Our products exported to many countries of the world like USA,UK,Australia,Germany,Japan,Korea,etc. Our Factory HIgh quality Passed the ISO9001:2008 quality system authentication and ROHS authentication. High quality Passed the ISO9001:2008 quality system authentication and ROHS authentication. High quality Passed the ISO9001:2008 quality system authentication and ROHS authentication. 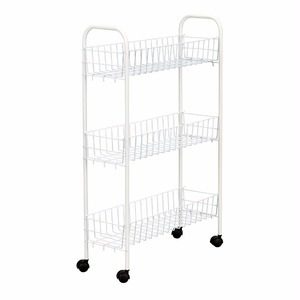 We specialize in supermarket shelves,trolleys,storage racks and so on. Our San Tong series shelves have all kinds of models and original designs. We can also design according to customers' requirements. More details: Kitchen wall mounted racks which is the assembled storage in kitchen. Provide different surface finish according to the customer request: chrome, powdering etc. 3) Different surface finish under the customers requirement. Sheenwe New stainless steel kitchen dish rack plate rack dish storage 2 tier dish drying rack wooden. Q: How long is your delivery time9 A: Generally it is 5-10 days if the goods are in stock. or it is 15-20 days if the goods are not in stock, it is according to quantity. ), is a manufacturer of bread boxes, barware, salt and pepper shakers and other stainless steel kitchen accessories. Established in 1985, we have grown steadily over the past years and now own 4 factories. The product description 1. 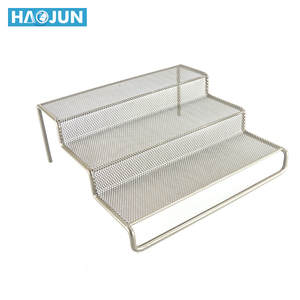 Rectangle Stainless steel Kitchen wire basket 2.45. Alibaba.com offers 16,803 stainless steel kitchen storage rack products. About 74% of these are storage holders & racks, 3% are stacking racks & shelves, and 1% are cargo & storage equipment. 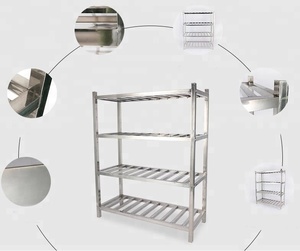 A wide variety of stainless steel kitchen storage rack options are available to you, such as selective pallet rack, boltless / rivet shelving, and multi-level. You can also choose from steel, wood, and plastic. As well as from garage, industrial, and clothing. And whether stainless steel kitchen storage rack is corrosion protection, suitable for outdoors, or esd protection. There are 16,925 stainless steel kitchen storage rack suppliers, mainly located in Asia. 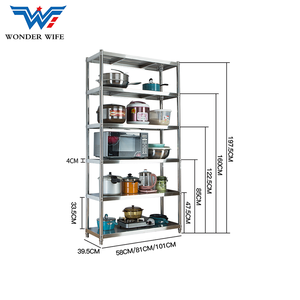 The top supplying countries are China (Mainland), India, and Japan, which supply 90%, 8%, and 1% of stainless steel kitchen storage rack respectively. Stainless steel kitchen storage rack products are most popular in North America, Domestic Market, and Western Europe. You can ensure product safety by selecting from certified suppliers, including 3,199 with ISO9001, 1,487 with Other, and 587 with ISO14001 certification.